Should I be worried about crusty rabbit eyes?? I would take it that this is normal behavior for a bunny. 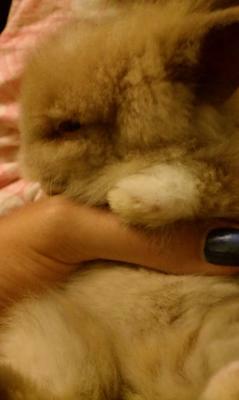 I love holding her and petting her when she hops into my palms, but I noticed she has crust around her eyes. Her eye itself isn't red and it's not lots of crust but I'm just curious...is this normal for a 2 month lionhead bunny? Please let me know...I don't wanna go spending money at a vet just to be told it's nothing to worry about. Is the crustiness fairly constant? Or do you think it is just getting dust in its eyes? Crusty eyes are not normal at all, sorry! In fact, it's fairly concerning, because crusty eyes are frequently an early sign of a more serious underlying infection. It'd be very good to get a vet's opinion at this stage. My hope is that the problem is bordetellosis (your rabbit is in the prime age for susceptibility to this germ) rather than the even more serious pasteurellosis. 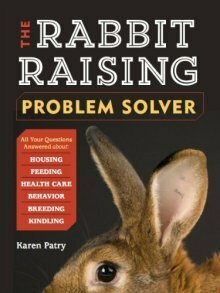 If you can treat the rabbit and eliminate the infection at this stage, the chances for that very sweet and cute bunny's long-term survival will definitely improve.